ProTexting in Time Square: Part NBC, Part Disney Billboard, Part ProTexting! We have exciting news! 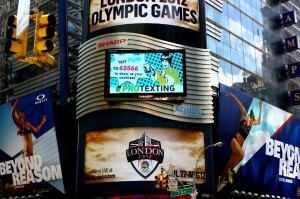 ProTexting has been featured on the NBC Marquee in Time Square on 42nd & 7th. We feel honored to have this opportunity to be seen by so many people who pass each day through Time Square. The undulating corner-turning NBC marquee features a ticker of Ads and news highlights. 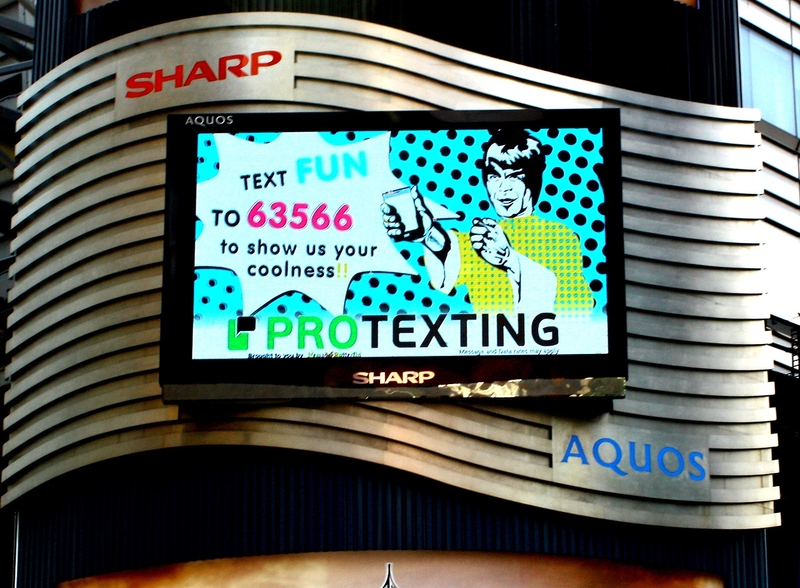 This 600-square-foot video screen looms over the intersection of 42nd Street and Seventh Avenue. One of the world’s busiest pedestrian crossways, Times Square is one of the world’s most popular tourist attractions, drawing over 40 million visitors each year. And now we are a part of its history too! 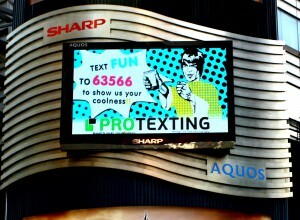 Please let us know if you have seen us on the Marquee in Time Square! –Kalin J.